Dubai is certainly not lacking in high-end Indian restaurants pushing the boundaries of molecular gastronomy. The city however, is perhaps left wanting when it comes to relaxed, old-fashioned curry houses serving up wholesome delicious food. This is where Claypot steps in. 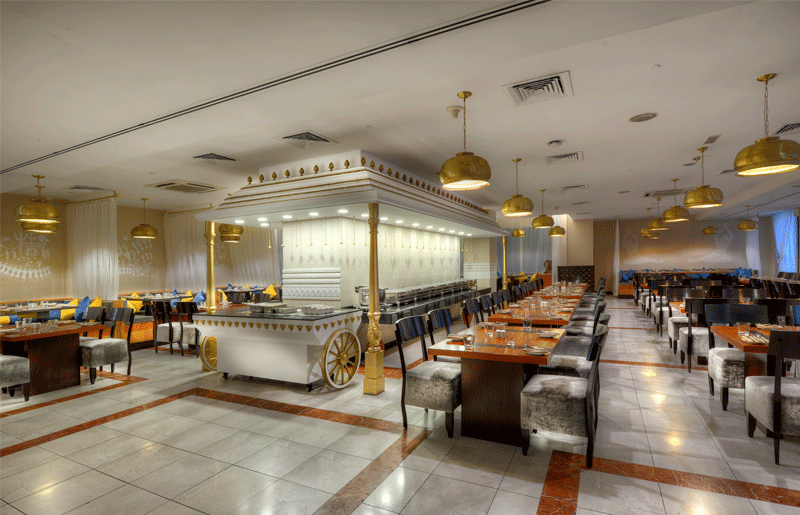 Hidden away in the Citymax hotel in between Al Karama and Al Raffa, the restaurant serves relaxed home-styled food, in a casual setting (think café styled restaurant, with impeccable service and a grape license). Don’t let the 24-page food and drink menu put you off, it’s hard to go wrong when ordering and everything is built to share between two or four people. The menu is based on North Indian cuisine, and as a result, there are plenty of vegetarian options too, alongside the usual meat and seafood fare. Two standout dishes are the restaurant’s signature ‘Rogan E-Claypot’ dish, (a deliciously tender lamb dish in a spicy onion, tomato and Kashmiri chilli sauce (pictured) and the mouthwatering ‘Ajwaini Mahi Tikka’ (chargrilled fish chunks marinated in ginger, garlic and carom seeds). The waiting staff is incredibly attentive. When we visited, our waiter Soji was able to offer great advice about what to order from the menu. For some courses, the chef served the dishes straight to the table, preparing them at a portable station next to the table, which added some great theatre to the meal. The atmosphere is relaxed, with a casual dress code. On the evening we visited (a Friday), every table was packed, with a queue out the restaurant door with people hoping to get a seat. There’s also a live band, which adds great energy to the place without being too loud to chat at the table.